When you don’t have the space in your own facility or company for product storage and warehousing, finding a third-party logistic service is the key to making your business model work in a functional and efficient way. 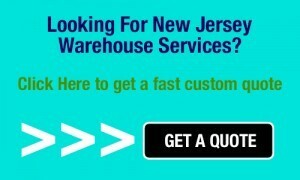 While there are several aspects that you should be reviewing when you are looking for a warehousing facility to handle your business needs, such as location and available shipping options, there is one component of the most desirable warehouse that stands above the rest in importance: Superior customer service. Even though you may assume that a dedicated warehouse customer service rep would fall at the bottom of the list of important aspects to consider on your search, it actually should be at the top for handful of good reasons. The representative is available and responsive when you have questions, concerns, or need advice about your shipments. It is vital to know that you have someone you can reach out to for help and get timely answers when the need arises. The customer service rep is understanding of your business needs and has a good grasp of what your goals are. Building a good relationship with a warehouse rep means that they are aware of those goals and as focused on them as you are. The rep assigned to your company profile is easy to communicate with, cooperative, and personable. This is vital because you want to be able to openly express concerns and get information without feeling like you are just on the phone with another vendor. They should be an extension of your team. The bottom line in business is every business owner needs to make sure their customer is pleased with the end product and service they receive. When you find a warehouse that has diligent service reps that have an obvious dedication to making sure that you as a client are content with the service you receive, you can rest assured that the same principles are going to be followed when they deal with your customers. The best customer service reps understand that success only comes along with keeping clients and customers happy. Of course the operations and function of your warehouse are of the highest importance. But even the best operations can be hampered by poor customer service. 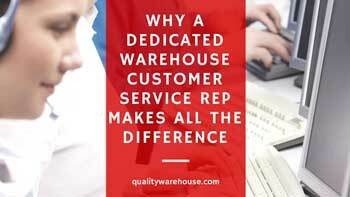 With a dedicated customer service rep, you’re much more likely to get the results you’re looking for.